There aren’t too many birds I don’t love in some way or other. And it’s a tough ask, to choose your favourite. I’ll give it a go and say poaka. There’s nothing I don’t love about these birds. I love the way they don’t give too much of a toss about nests. A few sticks and twigs do the trick. So long as it carries the eggs safely.A scoop on a sandbank, again, a few twigs. That’s home. After at least fifty years, watching these birds, I can still be fooled by their “broken wing” display. This is defence of that nest, of home. If a stilt’s nest is threatened, they’ll affect a broken wing and a broken leg, tumble down the shoreline, distracting the intruder completely. It’s a stunning performance. 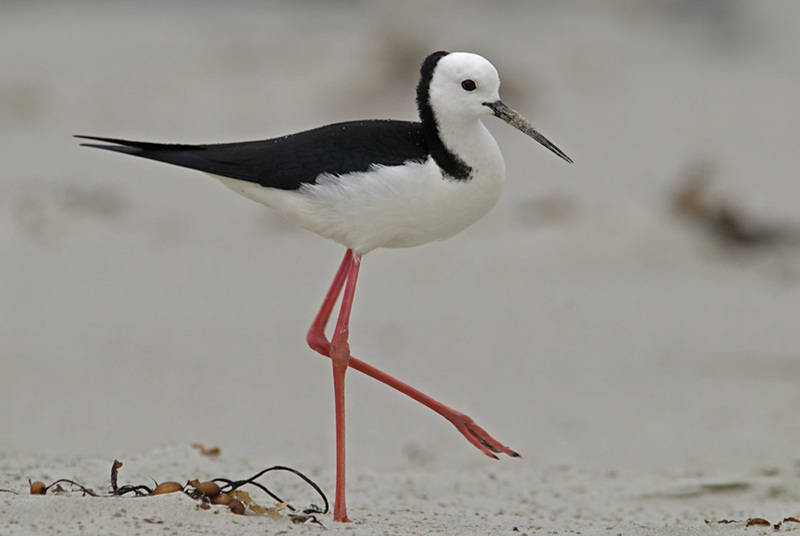 James K. Baxter noted the pied-stilt in his poem, ‘Waipatiki Beach’, talked of their cry “like a creaking door”. There is always that feeling of entry – each time you enter their world. Lots else I could say. 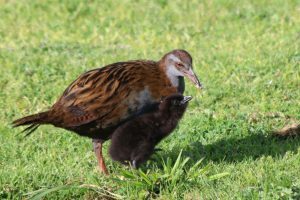 But enough, that when they fly overhead – and they do that often around here – their in-flight cry is as good as crying gets. And they look like immaculately furled black-and-white umbrellas. 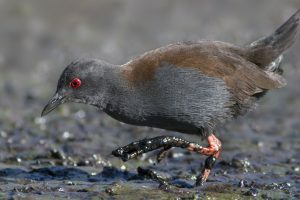 Polls open for the Bird of the Year competition in mid-September. Sam Hunt has contributed 1 entries to our website, so far. View entries by Sam Hunt. That photo is amazing – how can legs that thin hold up anything? And love the black and white umbrellas.